In La Princesse de Clèves, the Queen Dauphine alludes to “[…] Mme Marguerite, sœur du roi, duchesse d’Alençon, et depuis reine de Navarre, dont vous avez vu les contes”. 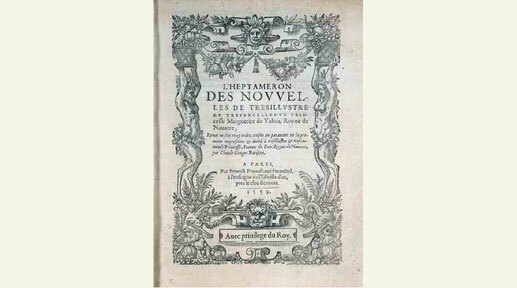 The Heptaméron is the sole literary work explicitly mentioned in La Princesse de Clèves. Madame de Lafayette’s statement must be viewed as more than a passing reference; it incites readers to compare the two texts. This rich combination can be a particularly compelling approach for students. *I highly recommend the article by John D. Lyons. These articles can be an excellent point of departure for a comparative study of La Princesse de Clèves and the Heptaméron. I suggest reading excerpts of the texts along with one or more of the following articles. François, Alexis. “De l’Heptaméron à la Princesse de Clèves.” Revue d’Histoire littéraire de la France. 4 (1949) : 305-21. Lajarte, Philippe de. “Des Nouvelles de Marguerite de Navarre à La Princesse de Clèves: Notes sur Quelques Transformations de l’Écriture Narrative de la Renaissance à l’Âge Classique.” Nouvelle revue du seizième siècle. 6 (1998) : 45-56. Lyons, John D. “Reading La Princesse de Clèves with the Heptaméron.” Approaches to Teaching Lafayette’s The Princess of Clèves. Ed. Faith E. Beasley, and Katharine Ann Jensen. New York: MLA, 1998. Rezvani, Leanna Bridge. “Marguerite de Navarre’s Heptaméron: The Inspiration Behind La Princesse de Clèves”. Dalhousie French Studies 92 (Fall 2010) : 3-9. Winn, Colette, Ed. Approaches to Teaching Marguerite de Navarre’s Heptaméron. New York: MLA, 2007. If you want to do a brief comparative study of the texts, I highly recommend reading the tenth tale of the Heptaméron with La Princesse de Clèves. There are striking parallels between the texts, but also significant differences which offer multiple opportunities for rich comparisons. *I suggest having students read the tenth tale of the Heptaméron and La Princesse de Clèves, watching segments of these films, and discussing this issue. Another compelling approach to the texts is to compare the structure and themes of Madame de Lafayette’s inserted tales with the Heptaméron‘s novellas. This is especially interesting since Madame de Lafayette diverged from the aesthetic norms of the novel by including these brief, inserted narratives and because she was highly influenced by Segrais and his Nouvelles Françaises, a work that was certainly influenced by Marguerite de Navarre’s Heptaméron. 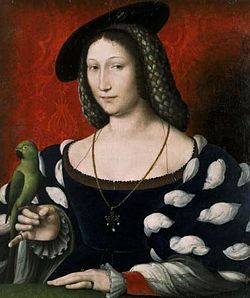 Marguerite de Navarre’s tales are followed by debates where the storytellers dispute and share their opinions of the content of the novellas. Similarly, there were also many debates following the publication of La Princesse de Clèves. Students can read the heated responses to La Princesse de Clèves such as Valincour’s writings and compare the issues and topics of the debate with those portrayed in the Heptaméron. Finally, an interesting class activity is to have students prepare their own debates about Marguerite’s tales or an inserted narrative from La Princesse de Clèves.